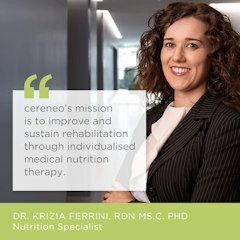 Krizia Ferrini, cereneo Schweiz AG | center for neurology & rehabilitation, will speak at Healthy Nutrition Conference, on June 26, during AgriFood Innovation Event in Venlo, The Netherlands. The general purpose of the LIFANA Nutrition Solution is to help elderly people maintaining their BMI as their metabolism is changing with age and their eating habits eventually need to be reconsidered. LIFANA provides a personalized meal plan that helps users to prevent undernutrition or overweight and to reach their weight goals. Users with limited mobility require assistance with their shopping tasks, therefore LIFANA integrates informal caregivers in the process and provides a connection to a grocery delivery service. The LIFANA approach is based on meal recommendations instead of food logging to make its usage more convenient by reducing the required interaction with the system, since only deviations from the plan need to be reported. The solution also keeps nutritionists in the loop to benefit from their experience and support their work for clients through ICT. In order to make personalized recommendations, the user is represented in the system by size, weight, taste preferences, allergies, and diet restrictions. Unless a nutritionist defines individual parameters, the system considers the recommendations of the WHO on food and nutrition. The components include the LIFANA app for Android and iOS smartphones, and the GoLivePhone app from Gociety Solutions that optionally connects with GoLive Clip wearable device to support activity level tracking and fall detection. The GoLiveAssist website provides a dashboard view on the primary users’ status. For nutrition experts, a dedicated website provides access to an interactive meal plan. In Portugal, users can order groceries through the Continente app. • Users receive daily meal recommendations based on personal their BMI, taste preferences, food restrictions and allergies. • Stroke patients will receive menu ideas considering dysphagia. • Users are able to give feedback on the meal plan and to indicate deviations using a simplified score system for convenience. • Users are provided with an automated shopping list, based on recipes, to prepare the recommended meals. Optionally, groceries can be delivered at home. • The meal planner has product and price information to optimize the budget. • The app supports sharing of content with friends on social networks. Informal caregivers have access to a shared shopping list to ease the process of preparing meals. • They are able to browse the recipe database based on (extra low) glucose content, energy, protein, fat (total/saturated), carbohydrate (sugars), sodium, water; Quantity per serving and per 100g, For clinical environment: vitamins (K, C, B12, D) and minerals (calcium, potassium). • The professional can monitor/change/approve the weekly/daily nutrition plan (or diary or menu) based on the recipes in the database. • They can see a summary of the weekly nutrient intake based on the meal plan and reported deviations. • They can decide for Vitamin (B12, D) supplements, if necessary. • For patients of the rehabilitation clinic, the solution provides a continuum of care after discharge. They will receive tele-consultation from the health professionals at home. I am Krizia Ferrini, a Nutrition Specialist working at Cereneo Schweiz AG | center for neurology & rehabilitation educating patients about nutrition and administering medical nutrition therapy as part of the health-care team. I motivated by helping others. I want to see changes in people’s lives and I want to contribute for a better solutions for the people with special needs (patients). My nutrition intervention strategies are selected to change nutritional intake, nutrition-related knowledge or behaviour, clinical environmental conditions, or access to supportive care and services. I provide nutritional assessments, interventions, documentation of care, staff training, individual patient counselling. I am planning and implementing the Nutrition Care Plan consulting Evidence-Based Nutrition Practice Guidelines, conducting experiments to answer critical nutrition questions enhancing inter-professional health care teams. There is no agreed definition of personalised nutrition. For the purposes of LIFANA solution, it as been defined an approach that uses information on individual characteristics to develop targeted nutritional advice,products,or services. 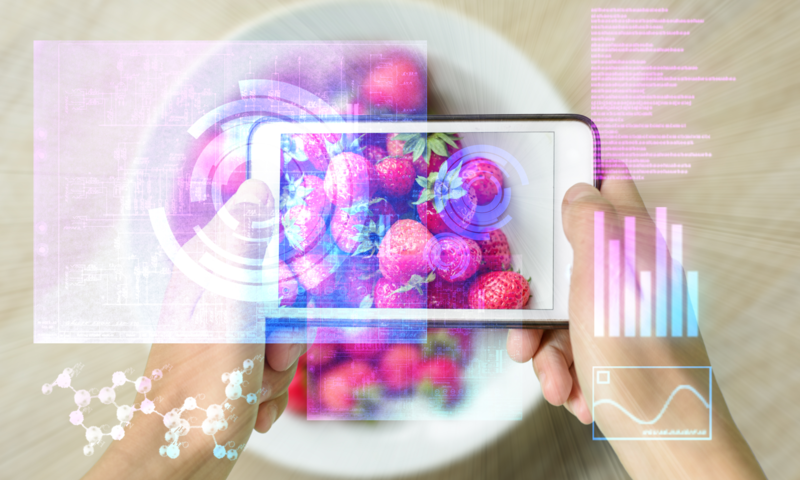 To progress nutrition into the digital future, we need experts who understand the nutritional data in dietary management, and who are willing to adapt them to the digital age. The personalised nutrition movement is one mostly driven by advancements in technology, in many cases just waiting for science to catch up. Technologies ranging from wearable fitness trackers to DNA and microbiome testing will drive demand for nutrition tailored for a specific individual. It is the concept of bringing what dietitians have been doing for years to the mainstream. The future of this trend may hinge on advancements in meal kit and delivery systems, 3d printing, and more. Personalized nutrition is set to disrupt the regular consumer market, helping average people get more from their day-to-day life. In a market made up of consumers who are increasingly aware of their nutritional needs, and others who are living at risk of disease due their poor nutritional intake, it seems clear that this is an area of huge potential for the food industry. By creating proprietary products that are personalized to the needs of smaller subcategories of individuals, companies may not only be able to benefit those at risk of disease, but also help others to achieve the high level of nutrition they seek. As food manufacturers look to stand out in a crowd, personalization is one way to do that. But while the future looks bright, personalization has a number of obstacles it must first overcome before it can reach the masses. In order for personalized nutrition programs to develop and be available to the masses, significant changes need to be made in terms of consumer knowledge about their needs, food manufacturing and distribution. Absent a major technological change, like sped-up development and access to 3D food printing, personalized nutrition will likely remain a luxury. I and my patients set behavior-oriented goals together. The challenge for the nutrition client lies not in making the initial dietary changes, but in maintaining them over the long term. Self-monitoring, realistic expectations, and continued follow-up can help a person maintain dietary changes using LIFANA solution. I have spent the past 10 years working as a research registered dietitian and clinical nutrition coordinator in a range of environments (Italy, Germany, Switzerland). I also worked at European Food Safety Authority as interim Scientific Officer (2016-2017). My dissertation topic, experience and career goal is primarily focused to research and implementation of innovative solutions related to personalized nutrition. cereneo is one of the world’s leading clinics in the field of stroke, trauma and brain disease rehabilitation. Our patients receive a personally tailored treatment plan, including the latest therapy methods and innovative technology. The cereneo treatment concept is based on interdisciplinary collaboration combining personalised and highly intense treatment, using innovative technology and including the patient’s social environment. On June 26-27, 2019, the 3rd edition of the global AgriFood Innovation Event will take place in Venlo, The Netherlands.